Here's your chance to be notified of all new listings on the Sunshine Coast, British Columbia that meet your criteria, absolutely FREE! With this special feature, Bev and John can find you Sunshine Coast ocean view properties, waterfront only, acreage only, or land only in any of these categories. The Sunshine Coast includes the areas of; Langdale Gibsons Roberts Creek Davis Bay Sechelt Sandyhook Tuwanek Halfmoon Bay Madeira Park also known as Pender Harbour Earls Cove and Egmont. 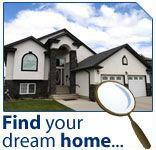 Also you will be notified 24 to 48 hours BEFORE the listing hits mls.ca or realtor.ca as it comes to our system first! Once you communicate back to us about any of these new listings, we will be happy to give you guidance about any specific property that looks appealing as to specific attributes such as location, value for area, light exposure, resale values, etc. Then we will create a unique home tour in advance of your trip to the Sunshine Coast. We hope you like what you see. We have lived in 3 different areas of the Sunshine Coast over the last 20-25 yrs and each area has many positive attributes. We're happy to share that information with you.